I make it a point to think well of others, give them the benefit of the doubt, and be respectful of them in general. But I have a very hard time with double-standards. And if you don’t respect me, don’t expect me to treat you with respect, either. Yet I have that “nice girl” syndrome going on. I have given up on thinking everyone needs to like me. I just don’t care about that at all. 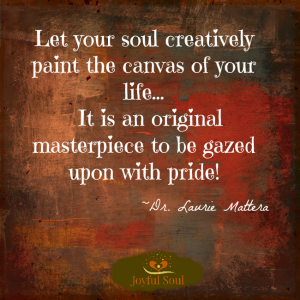 And I love feeling this way! However, I have a strong spiritual and Christian core, and I genuinely want to treat all others with respect and love. This is a fine line for any of us to walk. On the one hand, Jesus was loving to everyone, even though they certainly weren’t always loving or respectful to him. On the other hand, he was no pushover. He had dignity and strength, and he let others know in no uncertain terms when he did not agree with their ways. But he was very wise in how he got his point across to others. He used parables, spoke respectfully even though he was wronged, and did so lovingly. He certainly didn’t care whether or not they liked him. But he loved them. So I have revamped my thought process. And here it is: I will not tolerate others treating me with disrespect, and expecting me to live by the double standard which they have set up between us, thinking they can talk to me or treat me any way they darn well please. However, I will always love them and pray for them. I will be kind to them when they seek me out for help or to lend an ear. But I will always, in love and honesty, let them know I do not approve of their poor behavior toward me or others, and I will expect them to either change how they treat me or know that I am exiting their space bubble. How’s that for dignity and strength? 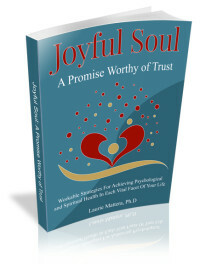 Joyful Soul: A Promise Worthy of Trust is available on Amazon.com and wherever books are sold.